Following parent-company Facebook’s lead, Instagram has this week announced a new set of tools designed to help users get a better understanding of who, exactly, is behind influential Instagram accounts, while also providing a new option for users to log-in via third-party authenticator apps. Managers of affected Instagram Pages are getting notifications of the coming change, with September 27th the day they’ll be implemented. As noted, the addition's very similar to Facebook’s recently announced ad and Page transparency tools, which enable users to get more insight into the ads a Page is running, and who, specifically, is behind the Page. The idea is that by giving users access to such information, Facebook can expand the pool of people keeping an eye out for potentially malicious actors. While not everyone will bother to check the details, it only takes one report on a suspect account to alert Facebook or Instagram’s security teams, and they can then review and remove questionable Pages and profiles before they have a chance to do any damage. Worth noting too, Facebook recently removed a cluster of 652 Pages, groups and accounts which were found to be engaging in coordinated, inauthentic activity, likely designed to manipulate public opinion. Such misuse is difficult for Facebook to stay on top of, but by adding in new tools like these, they broaden their detection capacity, which could help them avoid future interference. But there is one particularly interesting note in Instagram’s tool which isn't available on Facebook - especially for social media managers. See that last measure on Instagram’s list? That could be an interesting source of competitive research for market understanding, dependent on how much insight is provided – if you could look up a direct competitors’ profile and get a list of the other Insta profiles which are commonly followed by people within their audience, that could give you a better understanding of market trends and interests, and help you better focus your on-platform content efforts by learning what your target audience is looking for on the platform. 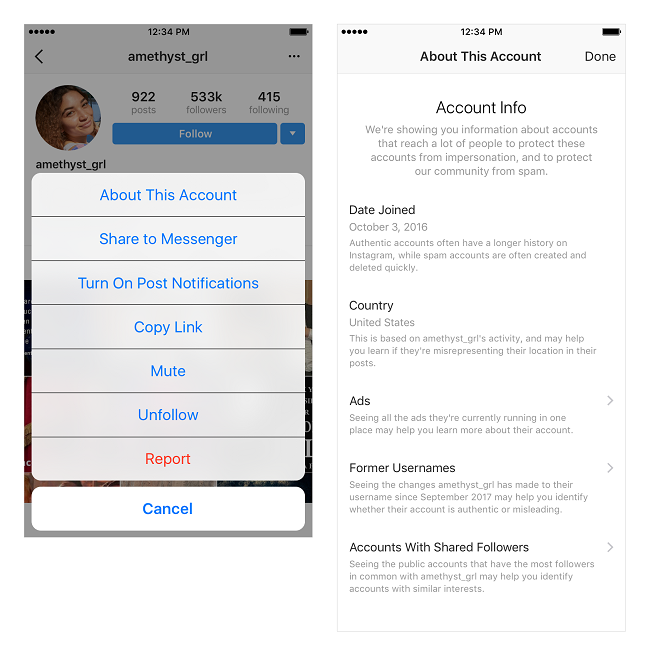 In addition to insights into accounts with large audiences (note: Instagram doesn't specify how ‘large’ an account has be to qualify), Instagram will also now allow profiles to apply for Instagram verification, which has thus far only been available at Instagram’s internal discretion. Plenty of people are very keen to get their Instagram profiles verified, and get that prestigious blue checkmark on their account. But don’t get your hopes up just yet. 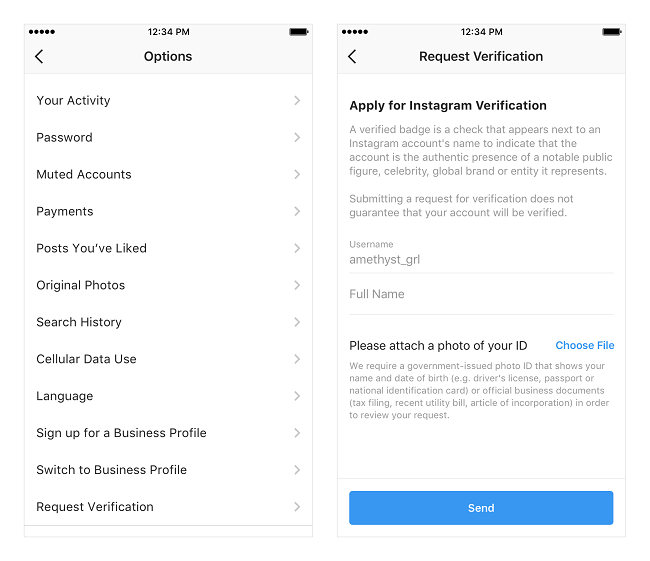 While Instagram will open the verification application process up to anyone, the actual requirements for verification haven't changed. Instagram's not letting in more people, they’re just making sure that they're able to verify all the accounts which meet their official thresholds, helping to provide more assurance to users that they are following and interacting with who the account says they are. You’d think that would open up the platform to a flood of verification requests, but it’s likely that Instagram has an automated filter in place to sift out the applications from profiles which simply don’t meet the key criteria. In other words, if you apply and you’re nowhere near meeting the qualification standards (i.e. you’re not a “notable public figure, celebrity, global brand or entity”), that rejection message you get will most likely be automated. No real person will even review your info. And the last new addition is the capacity for people to use third-party authenticator apps log-in to the platform. 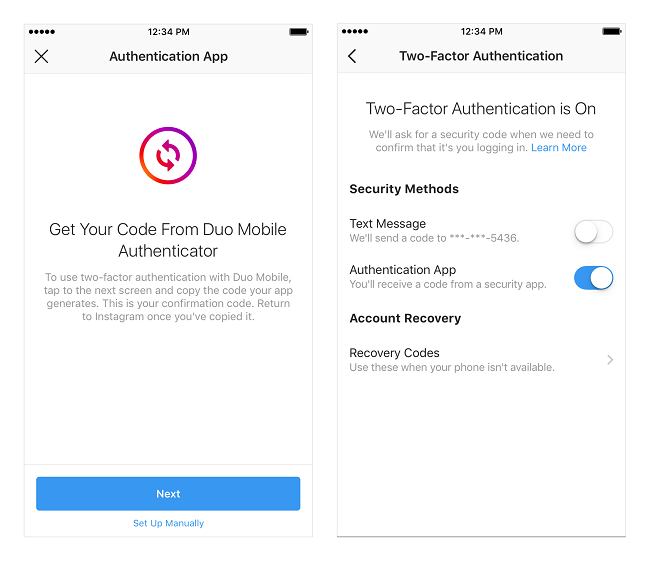 Authenticator apps add another layer of account security – Instagram added support for two-factor authentication last year, and this new process provides another way for users to better secure their log-in details. While Facebook has been the main focus of concern in regards to the spread of misinformation and voter manipulation, other social platforms, including Instagram, have also been widely used by activist groups to spread their messaging. Instagram, now at a billion users, is also likely to become more of a focus in future, so it makes sense for the platform to take proactive steps to add in more security and transparency options to keep its platform secure. And as noted, that could provide broader research benefits, while also helping weed out fakers. Instagram’s account insights are rolling out from late September, account verification requests are open from today and support for third-party authenticator apps will be available to all “within the coming weeks”.